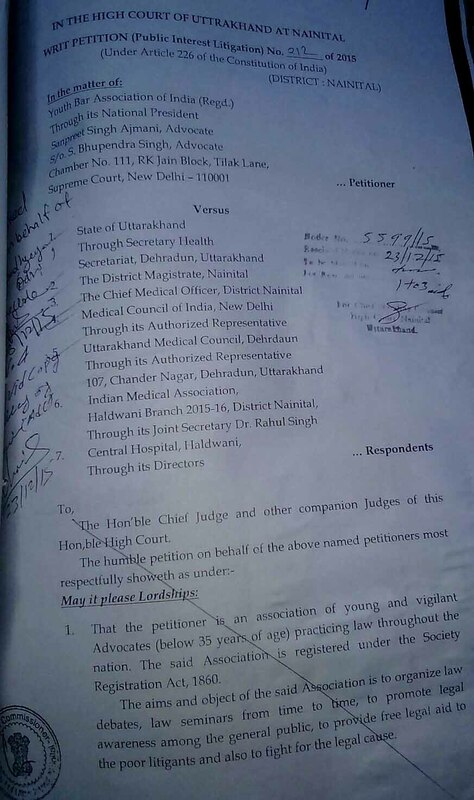 In a Public Interest Litigation filed by Youth Bar Association of India (Regd) against the illegal strike carried out in the private hospitals of entire state of Uttarakhand the Division Bench of High Court of Uttarakhand in Nainital comprising of Chief Justice K.M. Joseph and Justice V.K. Bist issued an interim order directing to resume the work and call off the strike. 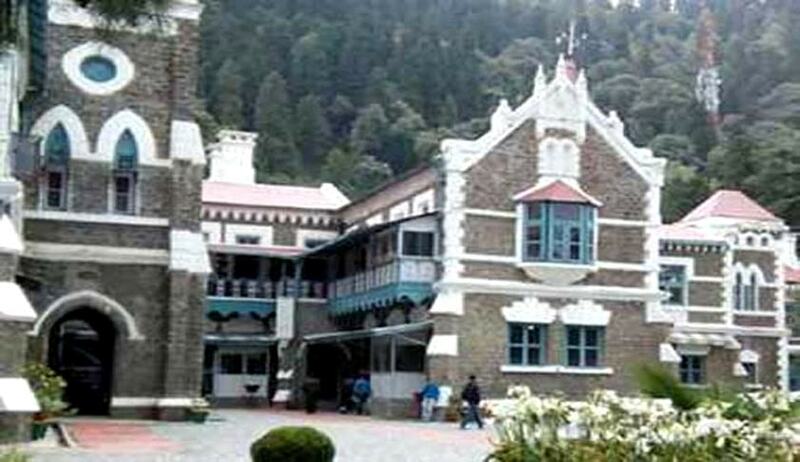 The strike had been promoted by Indian Medical Association (IMA) in which 1700 doctors participated and due to which innocent patients were suffering badly. The case has been posted on 4th January 2016 for further proceedings. The doctor-fraternity at Kumau region went on strike in support of Dr Pramod Joshi who was manhandled by the family members of a patient after he was declared dead by him. The kin of the patient alleged that the doctor did not pay attention to the patient. The other doctors in the hospital declared strike on December 18 and were demanding the arrest of the accused who thrashed the doctor. 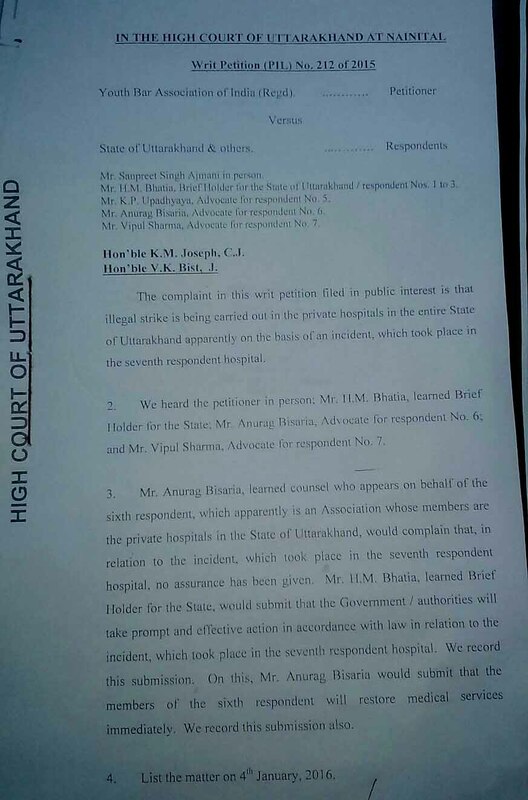 The strike which was called state-wide by the IMA hit the patients hard as the doctors across the state boycotted all emergency services and also denied to admit any new patient in the hospitals. Youth Bar Association of India (Regd.) which filed the PIL is a registered association of young and vigilant advocates (below 35 years of age) practicing law throughout the nation. It focuses on organizing law debates, law seminars from time to time, promoting legal awareness among the general public, providing free legal aid to the poor litigants and also fighting for the legal cause.